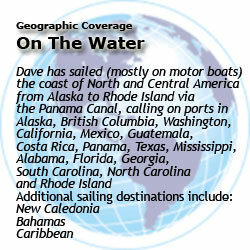 Dave’s knowledge of onboard systems and a boat’s performance characteristics is based upon not only formal education, but practical experience on the water. Dave grew up sailing small boats on Lake Lanier near Atlanta, Georgia and fishing from john-boats on small lakes after school. The first boat he purchased himself was an inboard / outboard bow-rider. After developing an interest in water skiing, he found some friends with competition ski boats and learned to bare-foot. Like most boaters, Dave had the urge to buy a larger boat. He found a 36’ twin engine cabin cruiser in need of repairs and began his first re-fit. He rebuilt or replaced most mechanical and electrical systems and installed a new 3-unit air conditioning system. Dave even re-surfaced the countertops and cabinets and covered two partitions with new upholstery. Finding the upholstery work stretching his skill set, he contracted out the remainder of the interior refit. 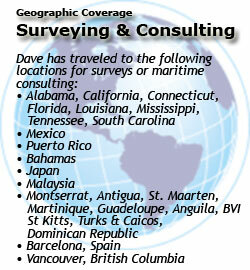 Upon completion of the project, Dave lived aboard for 5 years on the Cumberland River in Nashville, Tennessee. 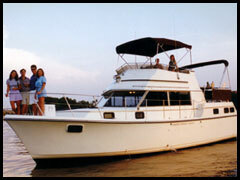 He later owned a 17’ center console but then decided it was better to have friends with boats than own them himself! Systems Engineer  for air compressed air systems up to 2,000 Hp. Designed mechanical rooms including equipment layout, ventilation, piping schematic and oily water disposal. Sub-contracted mechanical contractors and supervised equipment and piping installation. Established preventative maintenance contracts and assisted Ingersoll-Rand technicians in service troubleshooting. Established and managed dealers for 2 Hp to 50 Hp products. College Internship - in engineering design. Designed process water-cooling system. College Summer Internship  in corrosion analysis. Inspected cathodic protection of piping systems and wrote work orders where zinc anodes were inadequate. BS degree in Mechanical Engineering from Clemson University. Dean’s list, honor roll in college of engineering. Completed portions of the Yacht Design Lite program at Westlawn Institute of Marine Technology.